For children who have experienced trauma, learning can be a big struggle. 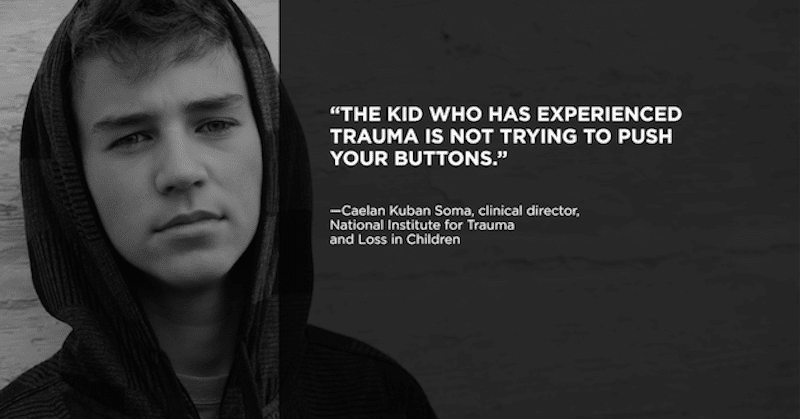 The National Institute for Trauma and Loss in Children (TLC) provides services to traumatized children and their families and strives to give school professionals, crisis intervention teams, medical and mental health professionals and childcare professional the training and resources needed to help these children and their families thrive. This is the first blog in the Childhood Trauma Blog Series, sponsored by TLC. With grief, sadness is obvious. With trauma, the symptoms can go largely unrecognized because it shows up looking like other problems: frustration; acting out; difficulty concentrating, following directions, or working in a group. Often students are misdiagnosed with anxiety, behavior disorders, or attention disorders rather than understood to have trauma that’s driving those symptoms and reactions. 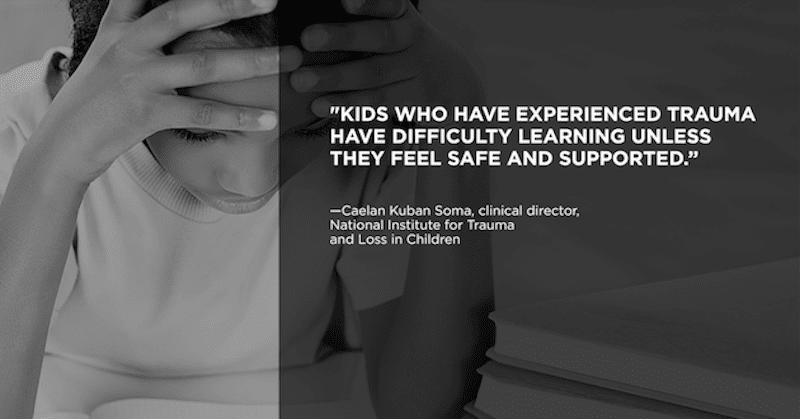 For children who have experienced trauma, learning can be a big struggle. But once trauma is identified as the root of the behavior, we can adapt our approach to help kids cope when they’re at school. 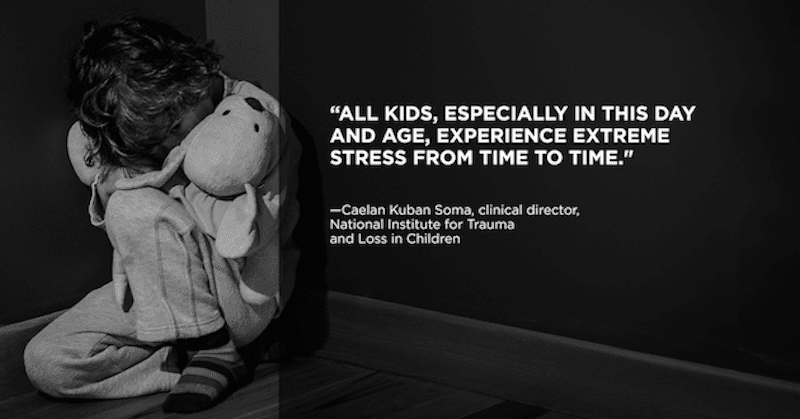 Detroit-based clinical director of the National Institute for Trauma and Loss in Children, a program of the Starr Global Learning Network, Caelan Kuban Soma offers these tips for understanding kids who have been through trauma plus strategies for helping them. You can also check out our video: What Every Teacher Needs to Know About Childhood Trauma. A daily routine in the classroom can be calming, so try to provide structure and predictability whenever possible. Since words may not sink in for children who go through trauma, they need other sensory cues, says Soma. Besides explaining how the day will unfold, have signs or a storyboard that shows which activity—math, reading, lunch, recess, etc.—the class will do and when. Try not to judge the trauma. As caring teachers, we may unintentionally project that a situation isn’t really that bad, but how the child feels about the stress is what matters most. “We have to remember it’s the perception of the child […] The situation is something they have no control over, feeling that their life or safety is at risk,” says Soma. It may not even be just one event but the culmination of chronic stress—for example, a child who lives in poverty may worry about the family being able to pay rent on time, keep their jobs, or have enough food. Those ongoing stressors can cause trauma. “Anything that keeps our nervous system activated for longer than four to six weeks is defined as post-traumatic stress,” says Soma. Instead of focusing on the specifics of a traumatic situation, concentrate on the support you can give children who are suffering. “Stick with what you are seeing now—the hurt, the anger, the worry,” Soma says, rather than getting every detail of the child’s story. Privacy is a big issue in working with students suffering from trauma, and schools often have a confidentiality protocol that teachers must follow. You don’t have to dig deep into the trauma to be able to effectively respond with empathy and flexibility. 6. Kids who experience trauma need to feel they’re good at something and can influence the world. Find opportunities that allow kids to set and achieve goals, and they’ll feel a sense of mastery and control, suggests Soma. Assign them jobs in the classroom that they can do well or let them be a peer helper to someone else. “It is very empowering,” says Soma. “Set them up to succeed and keep that bar in the zone where you know they are able to accomplish it and move forward.” Rather than saying a student is good at math, find experiences to let them feel it. 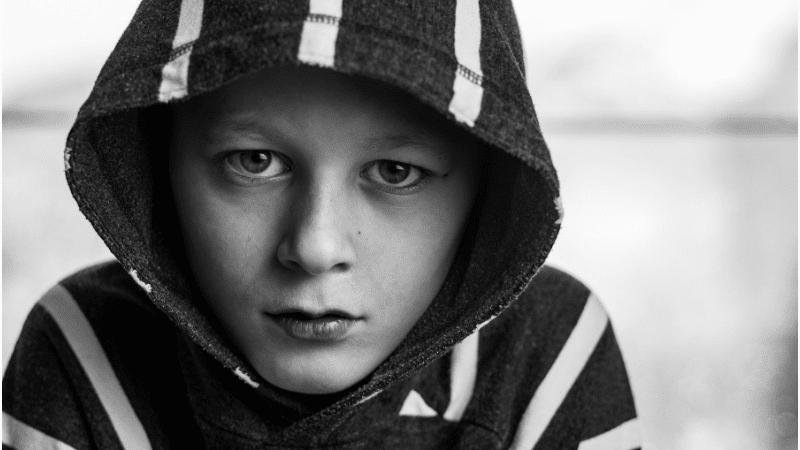 Because trauma is such a sensory experience, kids need more than encouragement—they need to feel their worth through concrete tasks. 7. There’s a direct connection between stress and learning. 8. Self-regulation can be a major challenge for students suffering from trauma. Some kids with trauma are growing up with emotionally unavailable parents and haven’t learned to self-soothe, so they may develop distracting behaviors and have trouble staying focused for long periods. To help them cope, schedule regular brain breaks. Tell the class at the beginning of the day when there will be breaks—for free time, to play a game, or to stretch. “If you build it in before the behavior gets out of whack, you set the child up for success,” says Soma. A child may be able to make it through a 20-minute block of work if it’s understood there will be a break to recharge before the next task. 9. It’s OK to ask kids point-blank what you can do to help them make it through the day. 10. 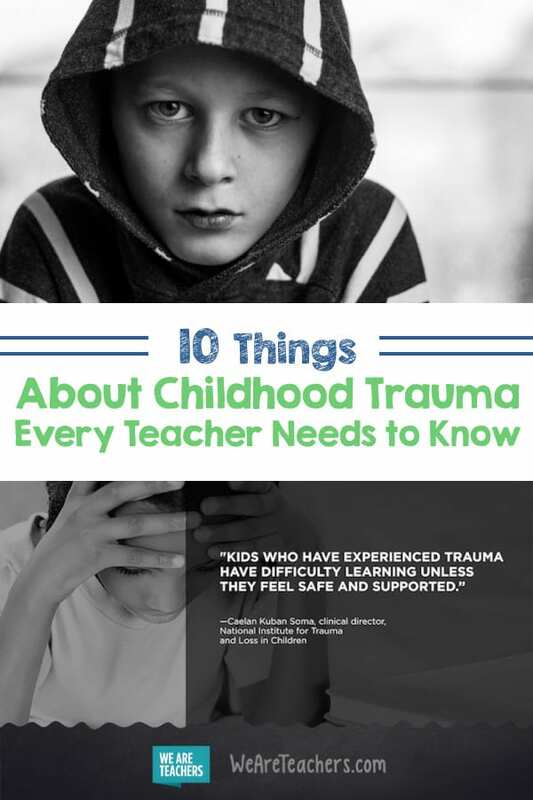 You can support kids with trauma even when they’re outside your classroom.